MY MIX: I blogged about this before, but I didn't really get into detail because I'm pretty mixed and my mix isn't familiar to most people. Actually, up until about last year, I was quite confused myself. So, here is the breakdown to the best of my knowledge: I'm from Russia and I have several ethnic bloodlines--Russian (from my mom) and Bashkort or Bashkir (from my dad). I'm also a tiny bit Estonian from my dad's side and a bit Ukrainian from my mom's. I know you've all heard of Russian, Estonian and Ukrainian, but I can almost hear you saying: what the heck is Bashkort? Well, here goes the breakdown of that: Bashkortostan is a small autonomous republic on the border of Europe and Asia, within the Russian Federation. 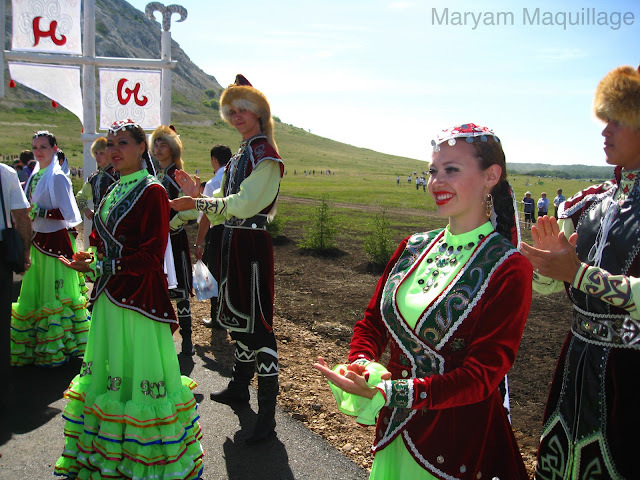 Bashkort people were nomadic and then semi-nomadic until fairly recently, so their ethnic makeup became quite mixed before settling in what is now the republic of Bashkortostan. 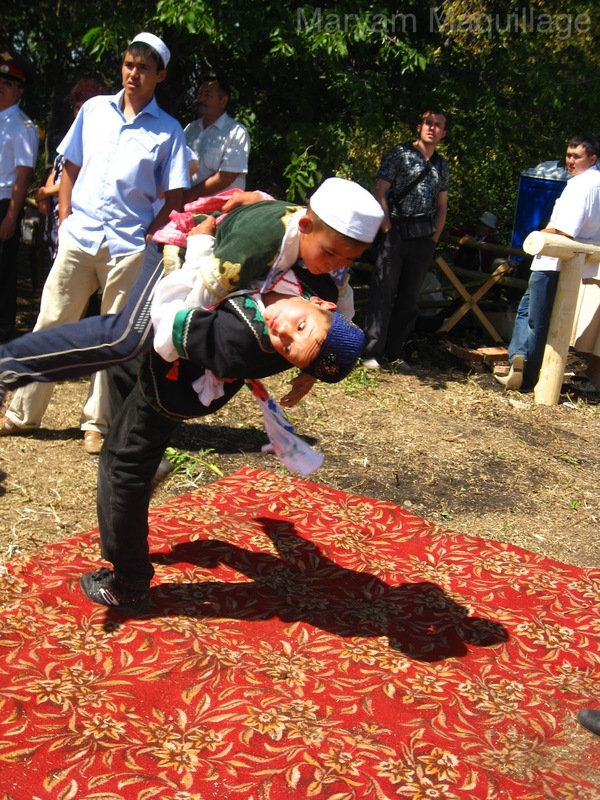 Because of its close proximity to Asia, Europe & the Middle East, Bashkort people have a very unique genetic makeup. Some people look very Asian, some look Eurasian and others look Middle Eastern or a mix of all three. The legend is that the Bashkort ethnicity is made up of 7 different tribes (bloodlines) stemming from present day Mongolia, China, Middle East, Turkey, etc. 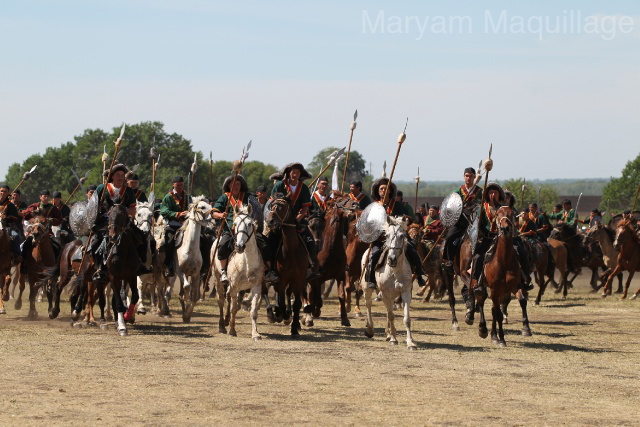 By definition, we are considered a Turkic group indigenous to Bashkortostan, which is said to be a part of Central Asia. 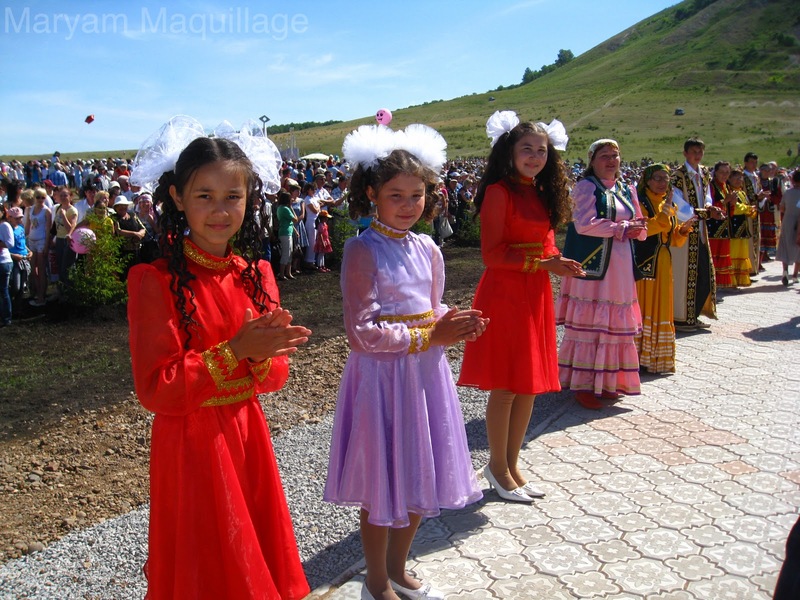 The Bashkort language is a Turkic language with Mongolic-Uralic variations and was originally written in Arabic. The main religion of Bashkortostan is Islam. Phew, that felt like a lot of information to get off my chest and I hope it clarifies some of your q's. 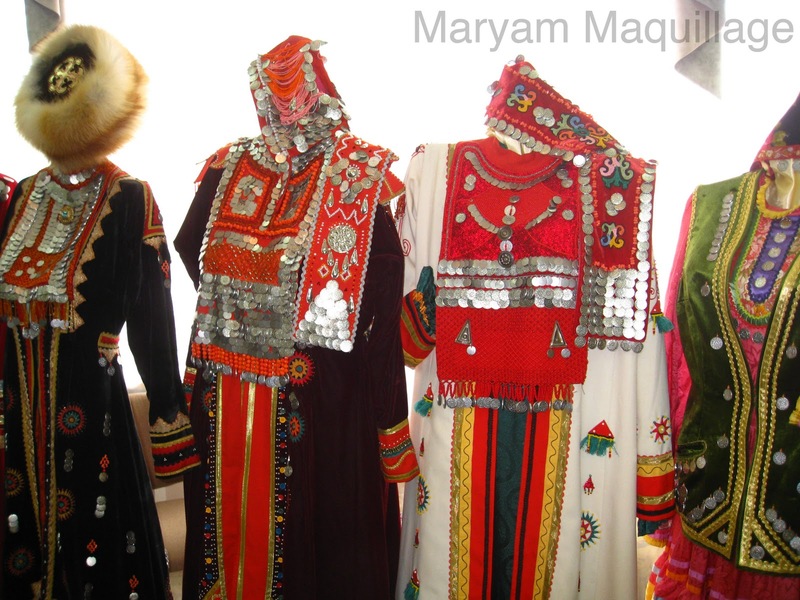 In the above pix, I'm wearing traditional Bashkort earrings and coin vest. I had to do a quick video shoot for Bashkort Satellite TV to be shown at a jubilee event taking place this week. 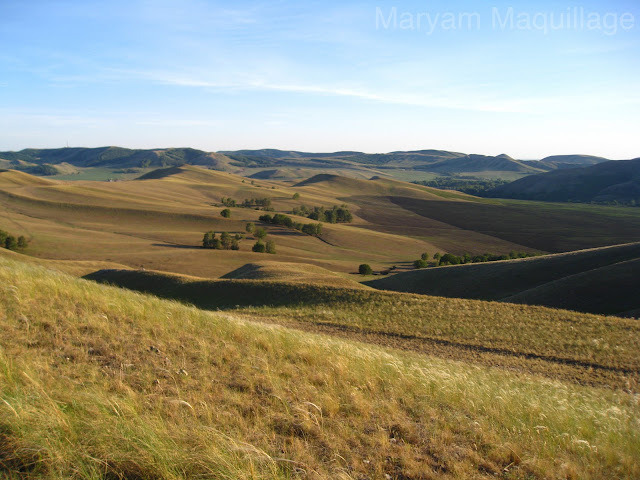 I would post the video here, but no one would understand a word, so instead I'll showcase some of the pictures I took last year while visiting Bashkortostan. Last summer, I took part of the Bashkort National Assembly (Congress)--"Kurultai", where I participated as an American delegate. Since becoming a delegate, I have been awarded the honor and responsibility to educate others about this unique culture/people. 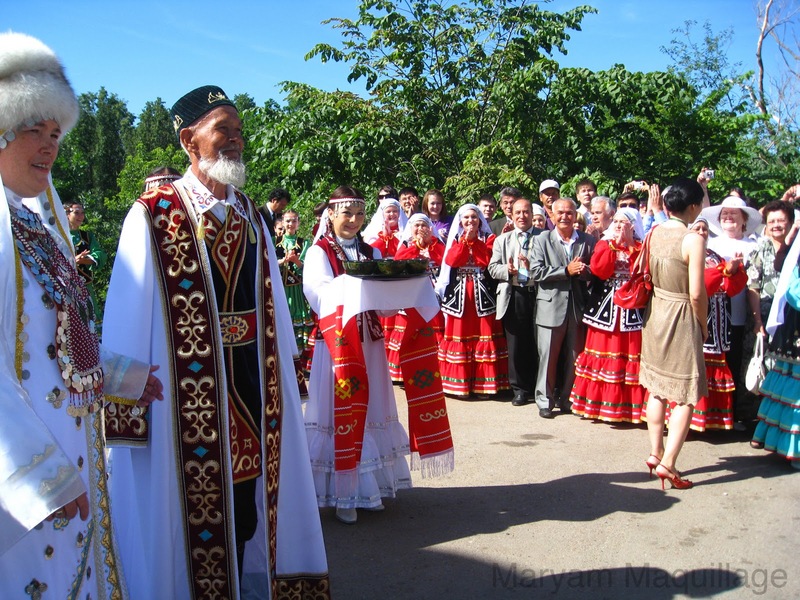 The Bashkort population is near extinction--there are only about 1.2 million of us in the world and in order to help preserve this beautiful culture, it is absolutely necessary for Bashkirs to stick together and spread the word. Needless to say, I take great pride and pleasure in doing so and my work as delegate of the Kurultai has been one of the most important and meaningful experiences of my life. OK, so I didn't get to my maquillage because this post is already long enough. I feel like I shared a lot though, so forgive me for going off on a tangent. If you read this post, please tell me a little about your heritage--let's share our cultures and exchange our experiences!! This is a great post, I love the pic of you @ the Mosque! Gorg! I'd like to dig up some family history on myself because my dads side is very confusing and up in the air to me... How did you find all this info out about your background? What a wonderful ethnic background you have. You are just so gorgeous!!! Thanks for sharing this with us, learning about cultures is so interesting. This was a fascinating post, I love reading about people's genealogical history and bloodlines. It makes sense now why you have such incredibly unique features that gives you your unmistakable look and beauty. Fabulous post doll, just so so interesting. Love it! That's great to have such a unique mix! This one is fantastic. Love you tapping into your roots! 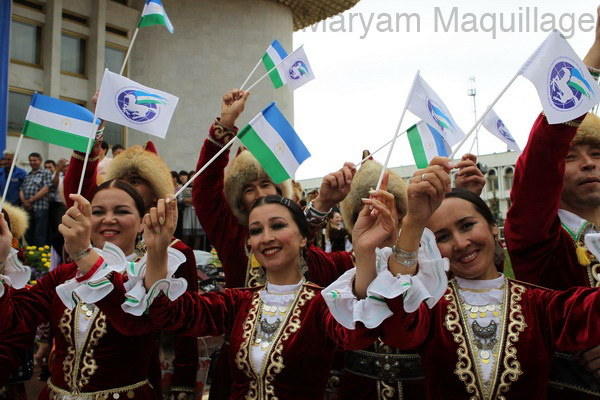 I never would have guessed that you were part Russian and definitely never would have guessed that you're part Bashkir...I never had heard of that culture until I read this post. I totally thought you were Filipina or Cambodian or from around those areas! Are you Muslim? You look so beautiful in the picture where you are at the Mosque! Canadian is my ethnicity too pretty much, thats where all my famjam from both sides is from ... womp womp. This was so interesting to read! And such gorgeous pictures too! Your family is beautiful! I loved this post, very interesting babe. And it's so great to see you so involved in your heritage and for doing work to promote your culture. Its pleasure to read about you & your family, i never ever heard about Bashkir... their culture has some resembles with our northern areas Keelash & Shoondor. Am from Pakistan, which is already filled with the variety of Colors, cultures and famous due to friendly people. thank you everyone :) this was a very personal post, i'm glad to read such positive feedback!!! 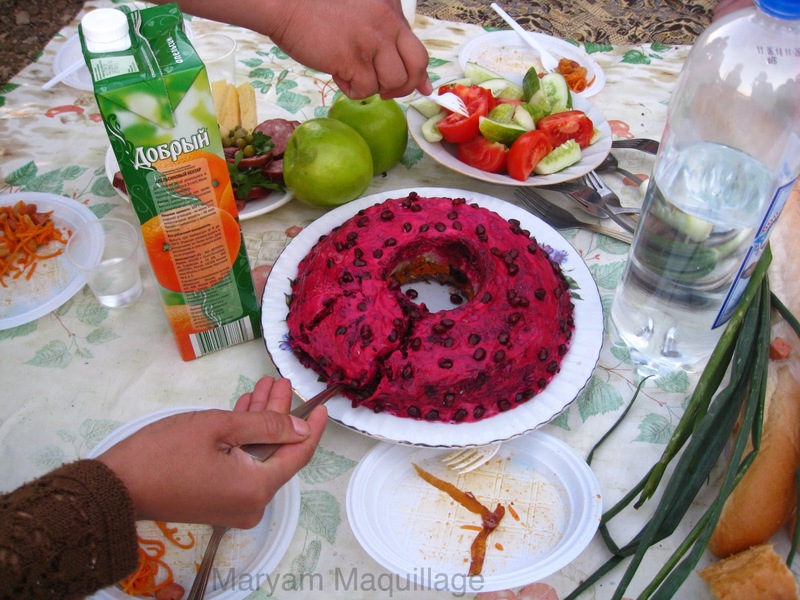 I loved the photos Maryam, and thank you for sharing this with us! Your outfit is beyond cute! What an amazing culture and a unique background that you come from. I had thought you were Euroasian as I am Euroasian (Filipino/Palestinan-Arab), and I am Muslim too. I think it's great what you are doing and it's eye-opening for me. I do wish you can sell those earring tho! You shud sell some items from your culture. I think it would be so nice!!! 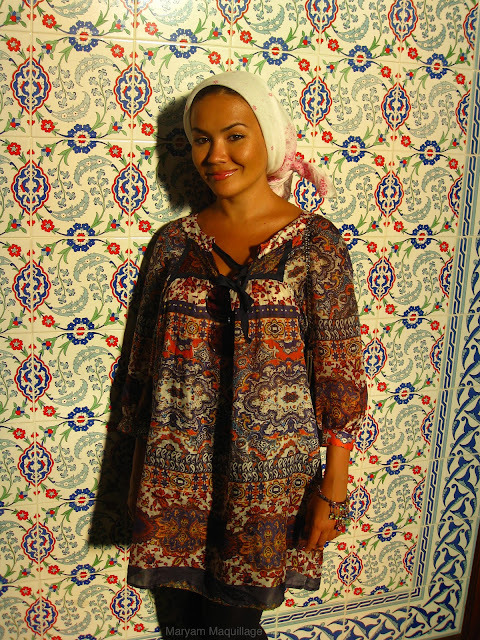 I had guessed you were Central Asian from your features and your Muslim name, Maryam. Thanks for sharing the wonderful pictures of your beautiful homeland! 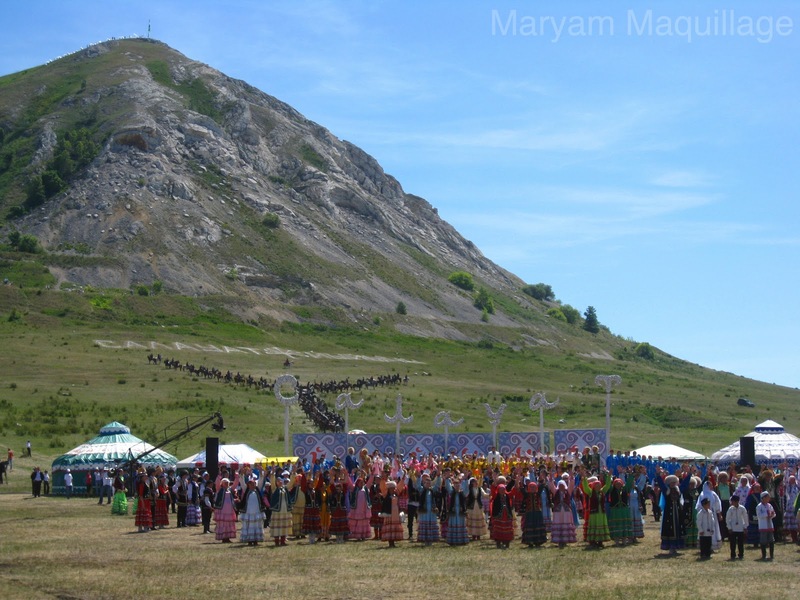 It is wonderful that you are helping the leaders there promote Bashkir culture. Well, actually Bashkortostan is not part of Central Asia. It is situated in Eastern European part of Russia. Actually, Bashkortostan is on the border between Europe and Asia. It is Eurasia, by definition. That's true but Eurasia is the combined continental landmass of Europe and Asia, with the term being a portmanteau of its two constituents. I loved this post! I always enjoy learning about other cultures. How funny...I'm an American girl working in Russia right now, and recently got back from visiting a friend in Ufa. I was flipping through several of your posts (found this blog bc I am interested in UD Naked 2 palette - which is not available in Russia, boo). The whole time I was thinking to myself, "She kinda looks Tatar." Then low and behold, you're half Bashkirka. haha You've definitely got the widely coveted Russian cheekbones that I see out here. Interesting post! 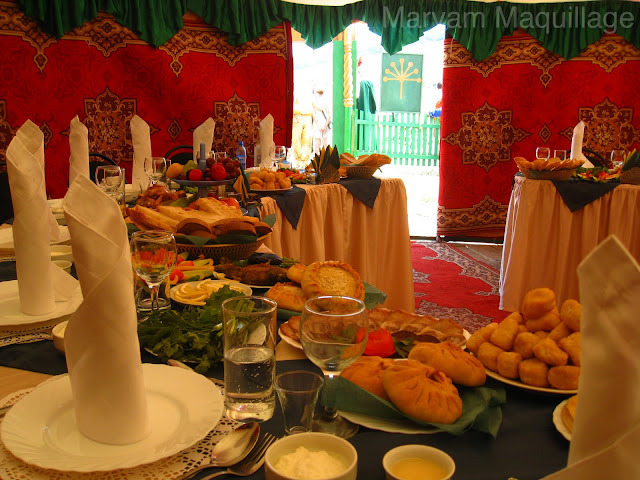 Hello Maryam, I'm new here on your blog and I'm so happy to know you! You're a wonderful girl and you shold be proud of your origins!!! I'm simply Italian, so there isn't so much to say but my mom was born in South America. She's taught me to be very open minded, for this reason I'm very curious, I try to know as much people around the world as I can and appreciate every culture. What a nice post to read! I love the fact that you know where you're from and that you cherish your culture and background. Don't you ever lose that!! You've explained your ethnicity really well. I enjoyed reading about it! Wow amazing! Never heard of Bakhorostan but it looks nice. Im also mixed between Slavic, Greek and Middle Eastern origins. And its so nice to have all those backgrounds and experence all those cultures and traditions. So nice to learn about this culture. I thought you where Afghan. Look forward to following your videos and blog! Can you do a tutorial on Youtube for the head scarf? I haven't seen any Muslim woman from where I live where it like that.